The World of Art, School for Curatorial Practices and Critical Writing is the sole programme in Slovenia aimed towards practical and theoretical education in the field of curatorial practices (more about the history of the school in the presentation). The school has two years (October 2018 – June 2019, September 2019 – June 2020) and consists of several modules. Regular meetings are held on Thursdays between 4 pm and 7.30 pm in the Project Room at Metelkova 6 in Ljubljana. Historical overview of exhibition making of modern and contemporary art will be presented alongside with mechanisms and most important turning points that shaped the phenomena of exhibition, exhibition spaces, art institutions and the role of a curator in the art world. Module is prepared by Asta Vrečko, Miha Kelemina and Simona Žvanut. Lectures will focus on the cultural politics in Slovenia, outlining the similarities and differences between Slovenian and international art system, they will also think of possibilities of (re)organizing. Galleries and exhibition spaces that will be analysed during this module, will be visited in frame of the module Curatorial Mapping. Module is prepared by Tjaša Pureber, Tevž Logar and Saša Nabergoj. In the third module, consisting of lectures and practical workshops, participants will become acquainted with the financial mechanisms of support in culture and art on the local, national and international level. The lecturers with long experience in the field of financing culture will present basic characteristics of how to manoeuvre between different applications, how to structure a project and prepare a successful application. Module is prepared by Dušan Dovč (with help of Miha Kelemina) and Ines Kežman, Zavod Motovila. Writing, analysing and evaluation skills are essential for the production as well for the reflection of contemporary art. After visits of contemporary art exhibitions, participants will write different texts about exhibitions and together with mentors analyse individual art works. Two seminars will be accompanied with a lecture about specific genres of art writings and two workshops about writing and linguistic manuals, corpora and tools that help us. Module is prepared by Urban Šrimpf, Lara Plavčak, Barbara Borčić, Miha Kelemina, Asta Vrečko and Lenart Kučič. In frame of two reading seminars, lectures and discussions participants will be introduced to the most prominent philosophical and theoretical concepts of the last century. 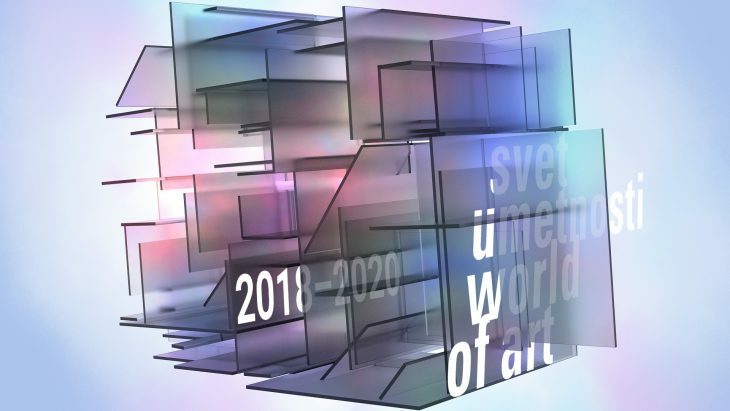 We will try to establish connections between different theoretical approaches that will help participants to grasp different ideas of contemporary art. Module is prepared by Gregor Moder, Jasna Jernejšek and ŠUM collective. During visits to art exhibitions in Ljubljana, Slovenia and excursions to nearby international centres, the participants will get acquainted with the work of various institutions (from independent, private and non-governmental art institutions and individuals). These visits will be accompanied by moderated discussions with curators and other cultural workers. Module is prepared by Vladimir Vidmar, Jasna Jernejšek and co-workers of exhibition spaces for contemporary art. Praxis-oriented second year of the school focuses on the conceptualisation and preparation of the final exhibition. Yet already in the first year, participants will have the opportunity to gain practical experiences in designing and setting up an exhibition of contemporary art. A practical insight into the curatorial work will also be gained with the Curatorial Research. During summer, participants will prepare a virtual exhibition which will mark the end of the first year of school. Module is prepared by Vladimir Vidmar, SCCA team and co-workers of exhibition spaces for contemporary art. Under the guidance of tutors Alenka Gregorič, director of City Art Gallery and Tobačna 001 Cultural Centre, and Miran Mohar, artist and member of IRWIN collective, participants will conceptualize and prepare their final exhibition in ŠKUC Gallery. Module is prepared by Alenka Gregorič and Miran Mohar. Throughout the lectures and practical workshops, we will learn about the cultural management and work of the producer of contemporary art. Participants will acquire knowledge, information and basic sponsorship funds management skills, and learn how to communicate successfully with the public. Module is prepared by Urška Comino, Yasmin Martin Vodopivec, Dušan Dovč and others. In this module, different aspects of designing an exhibition (from its preliminary, preparatory stage, operational stage and installing works of art in a gallery space) and technical requirements will be addressed. Together with the advisors, participant will prepare a technical plan of the exhibition and search for more innovative approaches. Module is prepared by Luka Hribar, Miha Kelemina and Vesna Bukovec. For curators the work does not end with the exhibition opening. The exhibition is usually complemented with a discursive programme and various accompanying events aimed at different target audiences, catalogue and/or web page. Module is prepared by Urška Jurman, Lenart Kučič and Adela Železnik. Module is prepared by Jana Ferjan, Teja Merhar, Jasna Jernejšek and co-workers of exhibition spaces for contemporary art.